You are here: Home / Food / I made yogurt!! I hear that making yogurt from scratch works best if you have raw milk. I also bought a container of Dannon Natural yogurt from the store for this first round. For subsequent batches, I hear that I can reuse part of this batch and not have to do store-bought again. 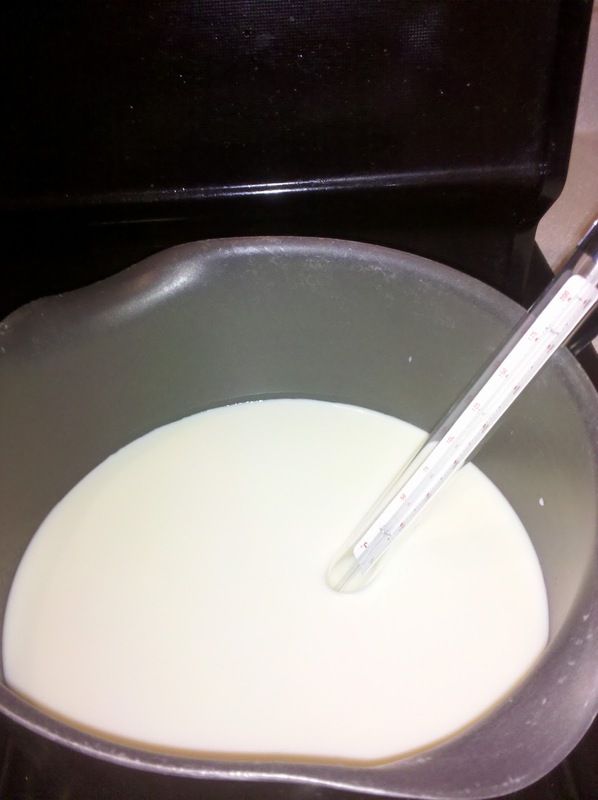 Step 1 – heat a little under 1 quart of milk in a saucepan till just under 100 degrees. I used a candy thermometer. 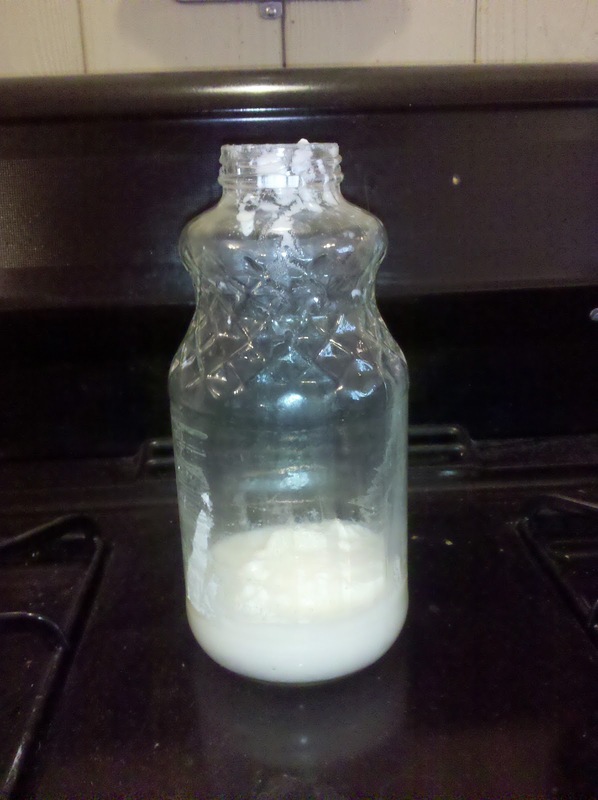 Step 2 – Put about 3/4c yogurt in your jar. Step 3 – Add milk. Step 4 – Shake. Just enough to mix it up. 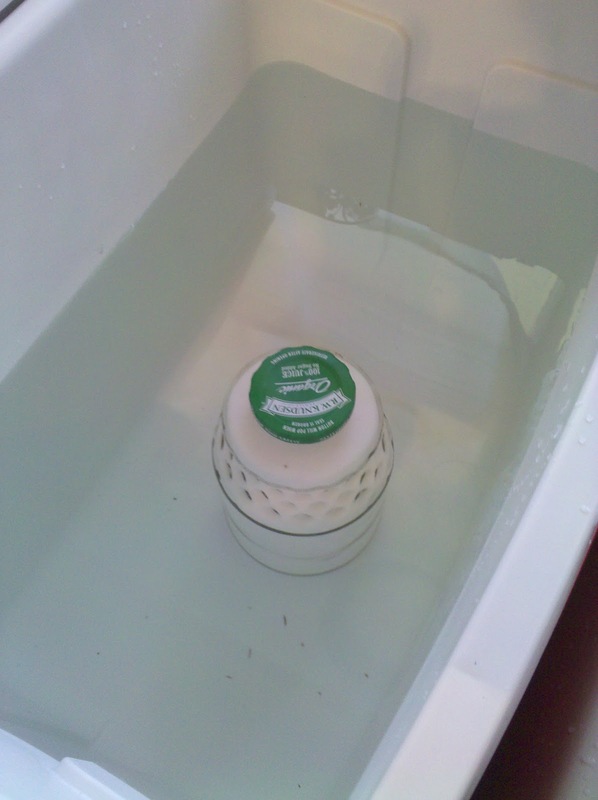 Step 5 – Put it in a cooler of warm water and let it sit for 7 hours. Done! Best to put it in the fridge after that to thicken up. Enjoy!